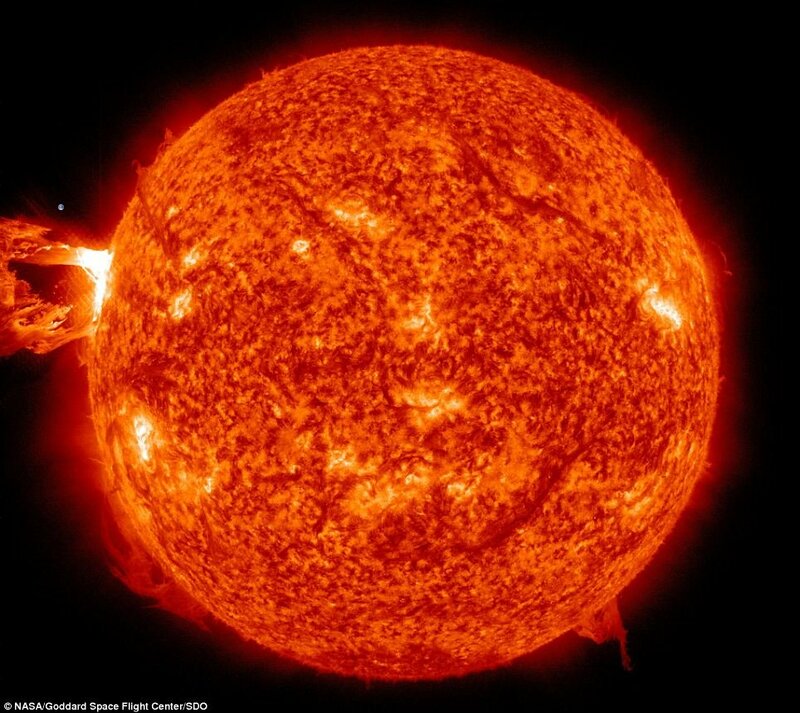 This 15th of April 2012, a magnificient solar flare erupted from the sun in the right angle to get perfect shots. The dailymail has many NASA footages, including videos and wide images. I was wondering how the size of earth would compare to these events so here are my edits to photos from the NASA. I included real sized earth next to the flare. Impressive. if you are looking for the earth, it's the tiny bubble like dot, upwards from the sun flare. 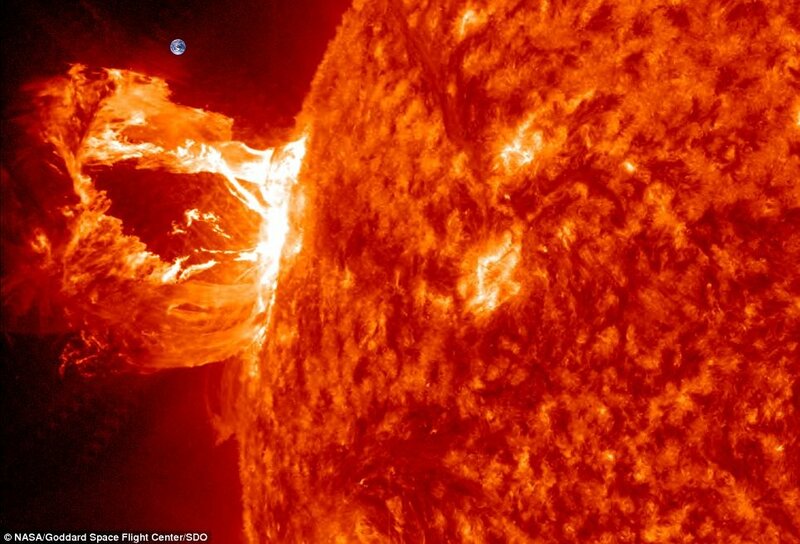 Nasa released two gorgeous HD video of Sun flares with the first one of them displaying the earth to give a sense of scale. Very interesting details are included along these video as the time scale.